Having a little bit of trouble understanding all of the awesome information on your Dashboard? No worries— we've got you covered. 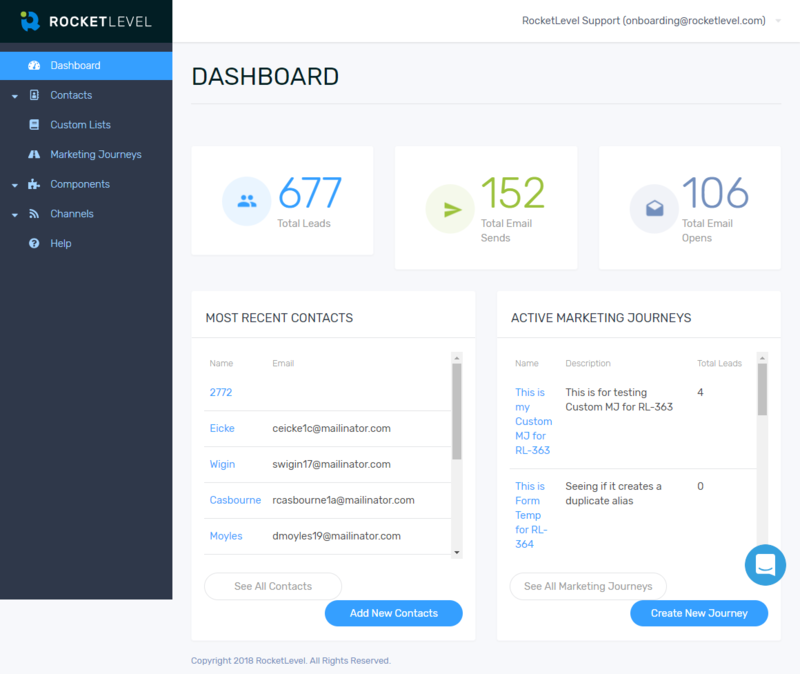 Your dashboard is the first thing you see when you log in to RocketLevel. The first things you will see are the three boxes with the number of total leads, the total number of emails sent through the system, and the total number of emails opened. The Total Leads box indicates the number of people who have opted in. The Total Email Sends box indicates the total number of emails you've sent out. The Total Email Opens box indicates the total number of emails opened by clients. Below these boxes, you will see your Most Recent Contacts and Active Marketing Journeys. 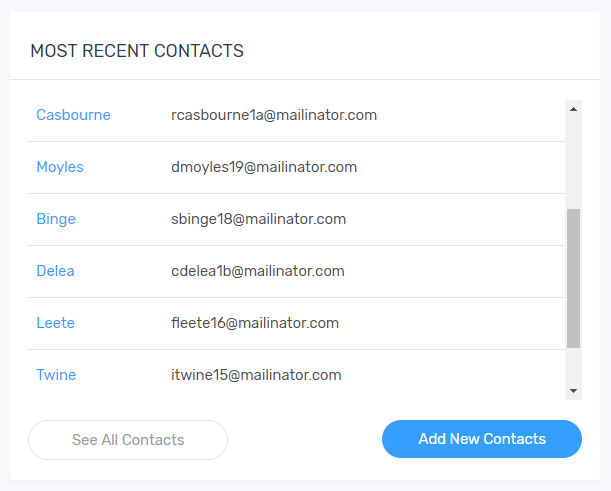 In the Most Recent Contacts box you will find that every time that a contact is added to RocketLevel, it will receive timestamp and the most recent ones will show up here. 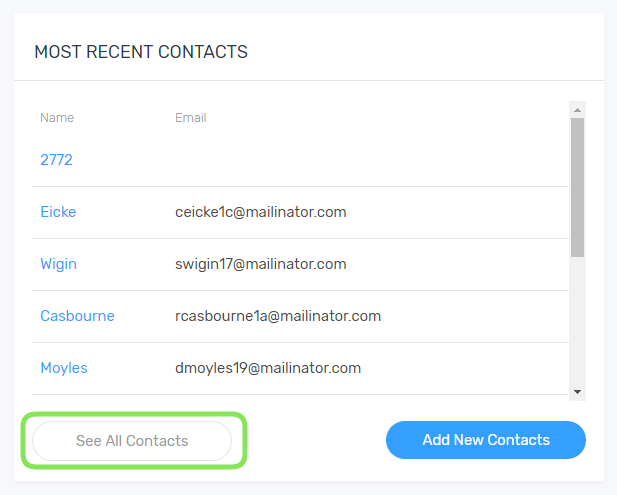 Under this section there is a See All Contacts button, here you can click to view your contacts list. 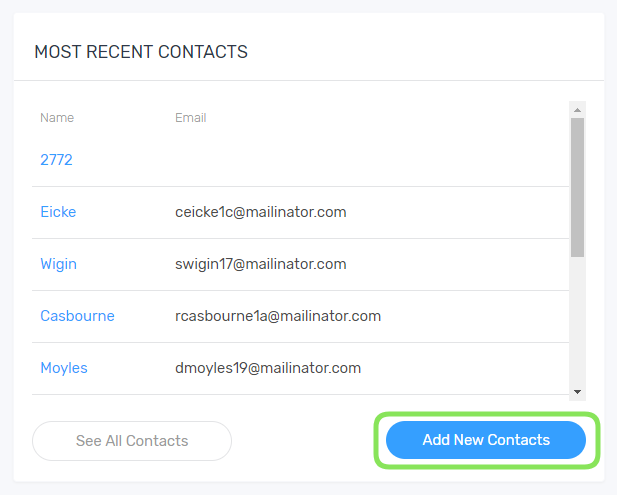 Under this section there is also a Add New Contacts button, here you can click to add a new contact to your contacts list. 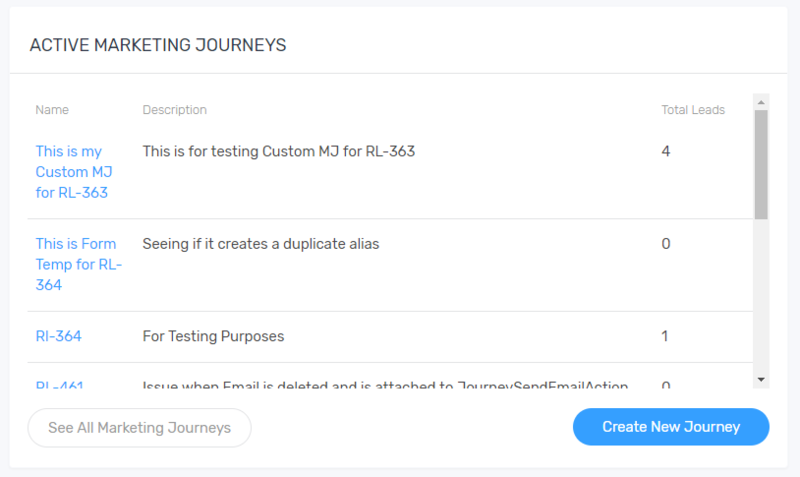 In the Active Marketing Journeys box, you will be able to see the marketing journeys that are active. 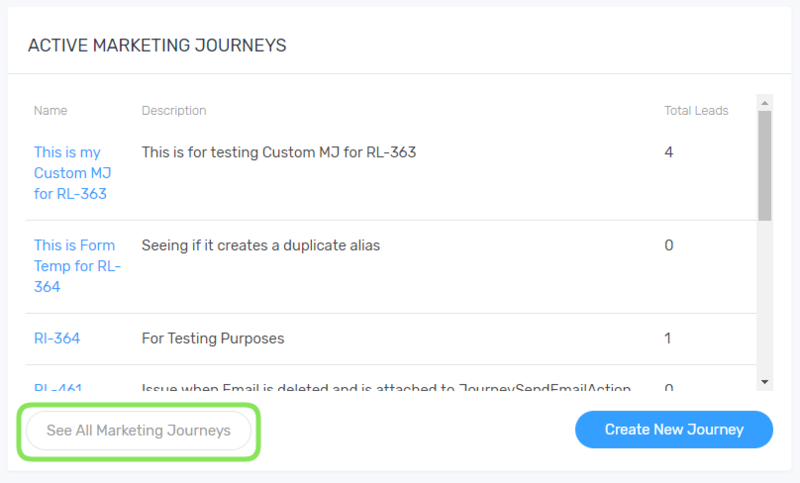 Under this section there is a See All Marketing Journeys button, here you can click to view all of your marketing journeys. 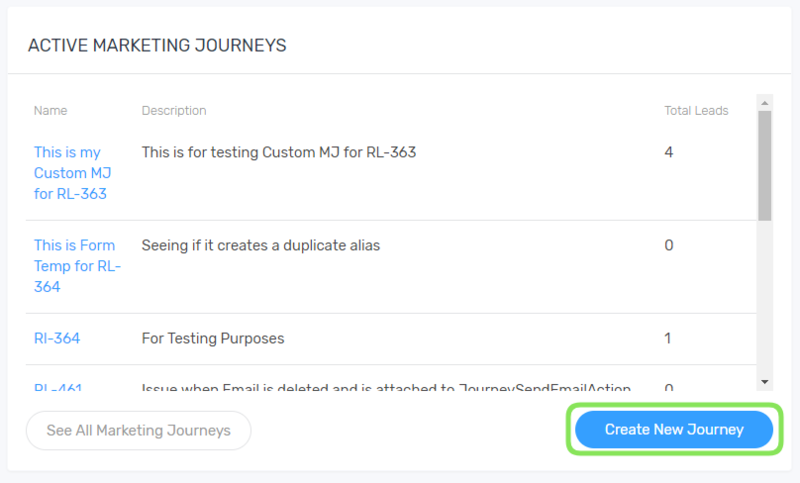 Under this section there is also a Create New Journey button, here you can click to create a new marketing journey. Lastly, you will notice on your Dashboard and throughout your time on RocketLevel, a blue icon at the bottom of every page. This is your way to contact us via live chat! Our Support Team is here to help with any questions you may have! Want more ways to get in touch with us? Click here to find out more ways to stay in touch!